Who doesn’t love to grill out in the summertime? Whether it’s a juicy steak, corn, or burgers, there’s something so fun and relaxing about an al fresco dining situation. The next time you’re planning to fire up the grill, slice up some fruit. 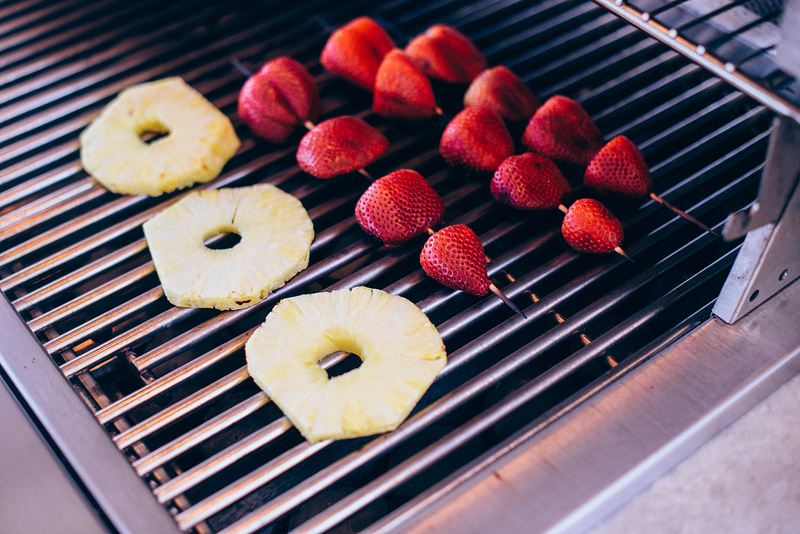 You can really grill any kind of fruit you want, but I recently grilled pineapple and strawberries for a more complex dessert. 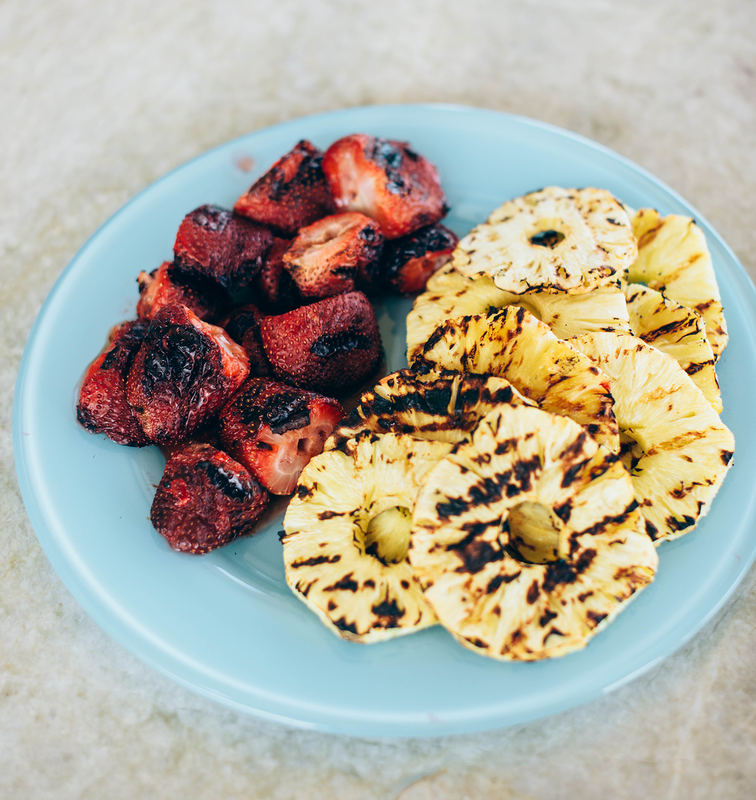 Grilled pineapple is a great garnish for any pork dish or a Hawaiian-style burger, and grilled strawberries add depth and intense flavor to everyone’s favorite BlueBell Homemade Vanilla. 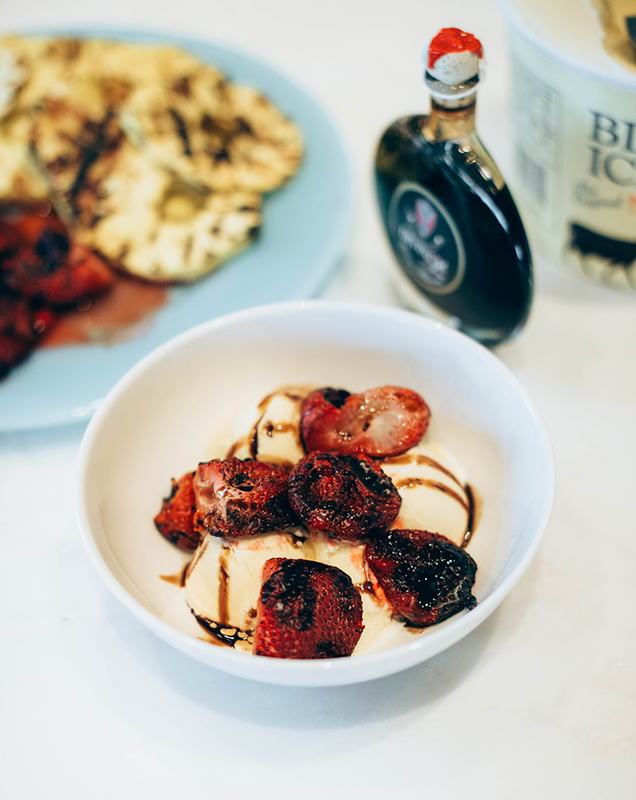 If you’re feeling like a real foodie, try drizzling the grilled strawberries and ice cream with some balsamic. It creates a complex combination of flavors that’ll make you feel like you’re eating an expensive, gourmet meal. Just be sure to get those strawberries really coated in ice cream before taking a bite. Strawberries can be very acidic after cooking (making them somewhat sour), so the best flavor comes when they are fully coated with sweet, sweet vanilla ice cream! Rinse off strawberries, then cut or pull off stems/leaves. 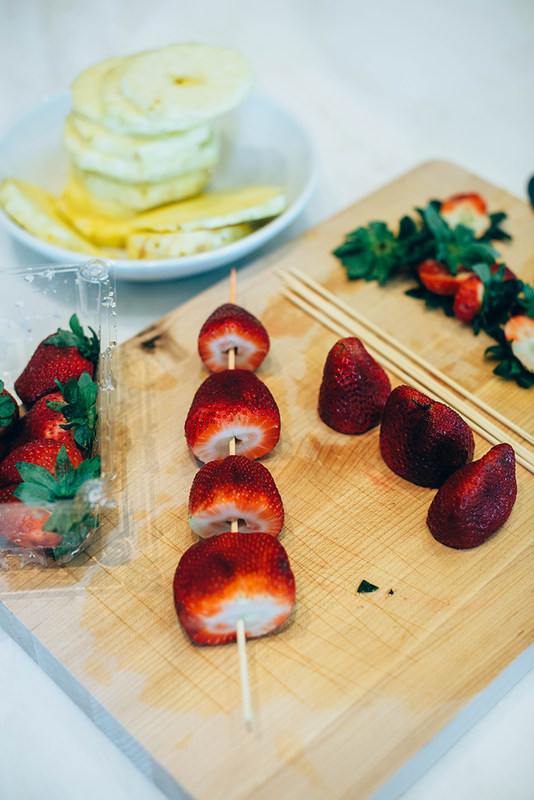 Option to place strawberries on skewers, although I will note that not all of the strawberries stayed on once they heated up! Set aside. Next, slice your whole pineapple into rings and set aside. 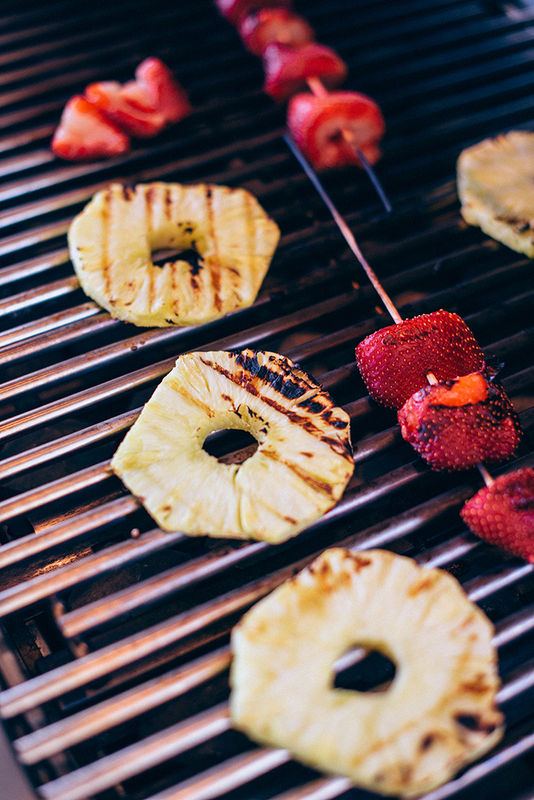 Once the grill is hot, carefully place the pineapple rings and skewers of strawberries onto the grill. Leave for 2-3 minutes before flipping over. Once the fruit is sufficiently “grilled”, remove from heat and set aside. Serve the pineapple with pork, hamburgers, etc, and the strawberries with Homemade Vanilla ice cream! PS – Don’t leave the pineapple slices on too long or they’ll dry out, which you don’t want! Instead pop on the grill just long enough for them to get that “grilled” look and get them warm. Yum! Looks delicious. And healthy too! so yum! grilled pork and pineapple skewers (ha, I know, not good for ice cream!) are some of my favorites. crazy how heating fruit can change it’s flavor!